Global mean sea levels may rise between 0.75 and 1.9 m by 2100 changing the distribution and community structure of coastal ecosystems due to flooding, erosion, and saltwater intrusion. Although habitats will be inundated, ecosystems have the potential to shift inland, and endemic species may persist if conditions are favorable. Predictions of ecosystem migration due to sea level rise need to account for current stressors, which may reduce the resilience of these ecosystems. This study predicts the potential consequences of sea level rise on the groundwater-fed anchialine pool ecosystem in Hawaii. Scenarios of marine and groundwater inundation were compared with current patterns of habitat, introduced fishes, and land use. Results show that current habitats containing endemic anchialine shrimp will be increasingly inundated by marine waters. New habitats will emerge in areas that are low lying and undeveloped. Because of subsurface hydrologic connectivity, endemic shrimp are likely to populate these new habitats by moving through the coastal aquifer. In some areas, rising sea levels will provide surface connectivity between pools currently containing introduced fishes (tilapia, poeciliids) and up to 46 % of new or existing pools that do not contain these fish. Results predicting future habitat distribution and condition due to sea level rise will support conservation planning. 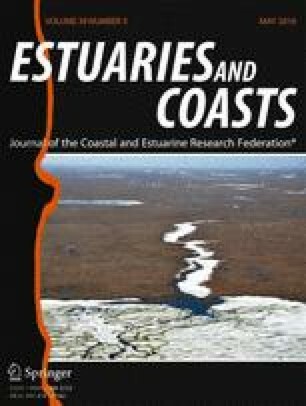 Additionally, the interdisciplinary approach may provide guidance for efforts in other coastal aquatic ecosystems. I am grateful to Rick Gmirkin, Aric Arakaki, Sallie Beavers, Nancy Erger, and others for their field support and willingness to share their knowledge. I am also grateful to Maggi Kelly, Stephanie Carlson, Sarah Allen, Patrick O’Grady, and anonymous reviewers for their comments on the manuscript. I received funding from the National Park Service George Melendez Wright Climate Change Fellowship and the UC Berkeley Coleman Fellowship to conduct this research as part of my PhD dissertation. [NOAA] National Oceanic and Atmospheric Administration, Ocean Service, Coastal Services Center. 2011. C-CAP Land Cover, Hawai‘i, 2005. www.csc.noaa.gov. [NOAA] National Oceanic and Atmospheric Administration. Tide data inventory. http://tidesandcurrents.noaa.gov. Accessed 2012. Global Invasive Species Database. http://www.issg.org. Accessed 2010. Marrack, L. and O’Grady P. 2014. Predicting impacts of sea level rise for cultural and natural resources in five national park units on the big island of Hawaii. Technical Report #188. CESU University of California at Berkeley and National Park Service. 40pp. http://manoa.hawaii.edu/hpicesu/techrep.htm. National Park Service (NPS). Integrated resource management applications. Pacific island network anchialine pool dataset. Relational Database-2192748. https://irma.nps.gov/App/Reference/Profile/2192748. Accessed 2012. Parris, A., P. Bromirski, V. Burkett, D. Cayan, M. Culver, J. Hall, R. Horton, K. Knuuti, R. Moss, J. Obeysekera, A. Sallenger, and J. Weiss. 2012. Global sea level rise scenarios for the US National Climate Assessment. NOAA Tech Memo OAR CPO. http://www.cpo.noaa.gov/sites/cpo/Reports/2012/NOAA_SLR_r3.pdf. U.S. Fish and Wildlife. Endangered and candidate species reports. http://www.fws.gov/endangered/index.html. Accessed 2015.